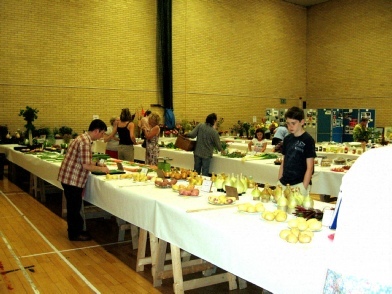 The exhibition is set out in the four seasons of the year, with Summer on this page. 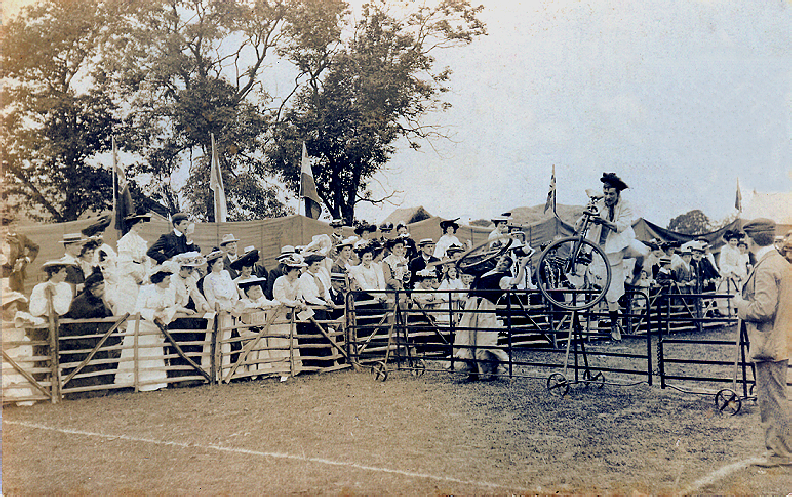 In the early 1900s, a Sports Day was held on August Bank Holiday Monday. 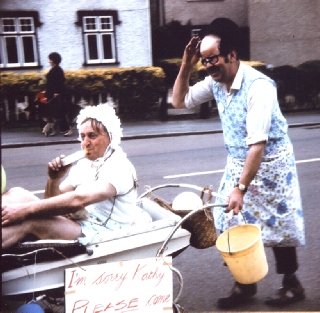 As well as traditional races, there were more unusual events like this contest, ‘Tipping the Bucket’. 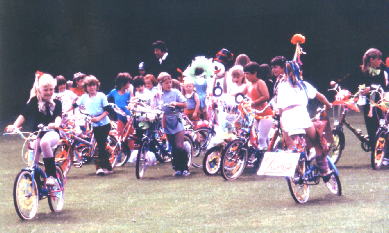 Another novelty race was described as a ‘Cycle Gymkhana’, for which the winner received a copper kettle as a prize. 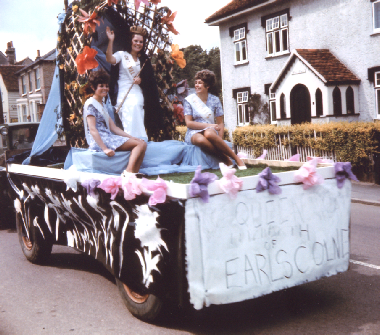 The Earls Colne Cricket Club was founded in 1876. 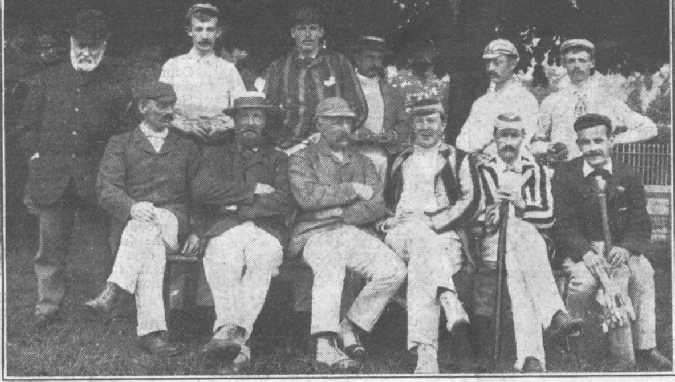 Mr Gouldstone, the umpire standing on the left of this photograph of the team in 1894, stored the Club’s equipment at his harness-making shop opposite The Lion. 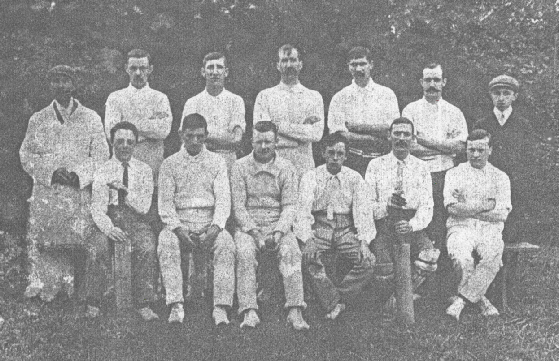 Many of the players in the team of 1910 were regular members for a number of years. 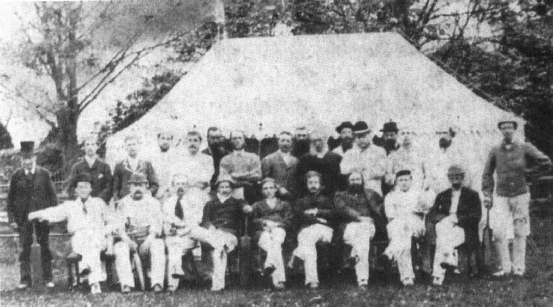 Some cricket enthusiasts formed their own team, like the Carwardine family who owned The Priory. 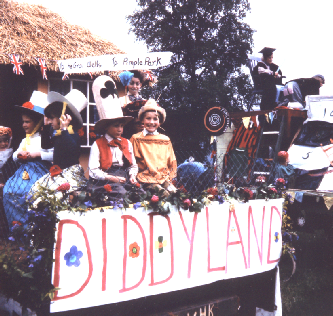 Percy Carwardine, the Captain of the team, was the son of Major John Carwardine who fought in the American Civil War on the Unionist side. 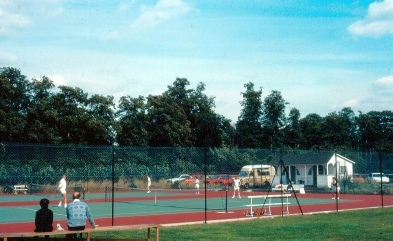 The tennis courts at the side of the Cricket Meadow were donated by R Hunt & Co in 1949. 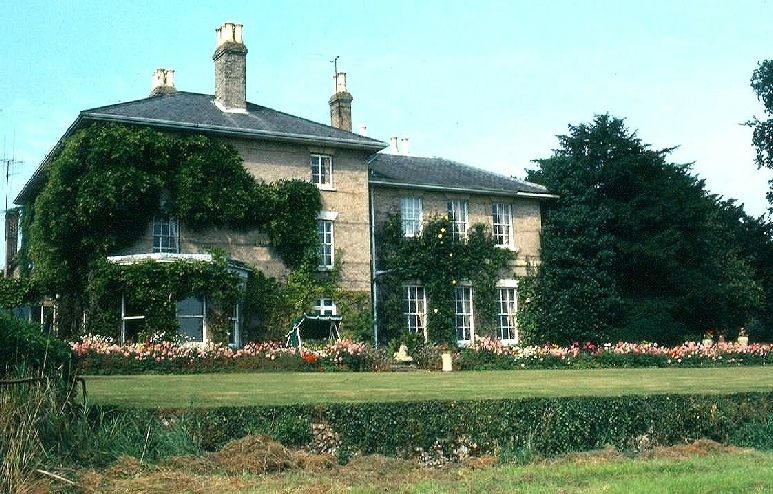 In earlier times a private Tennis Club used the grass courts in the grounds of the old Vicarage (now the site of Monks Road and Josselin Close). 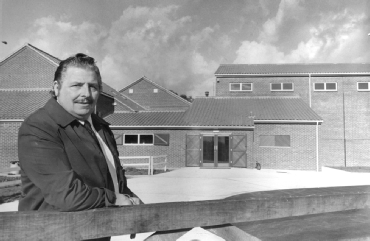 A donation of £238,000 from the William Hunt Trust enabled the provision of the Recreation Club facilities beside the tennis courts. 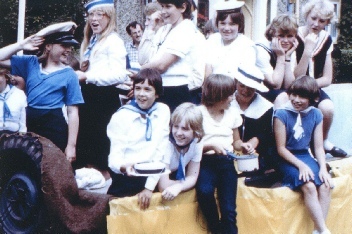 The opening ceremony was performed by Mrs Anne Aitken, Mr Hunt’s neice, on 3rd December 1981. 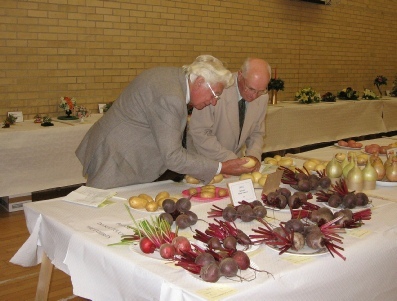 The manager, Peter Brunning, is seen in the above picture. 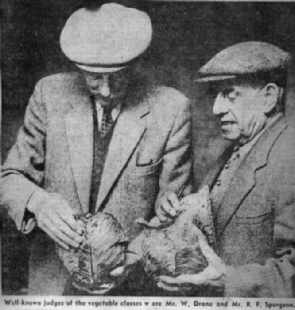 There was fierce rivalry among the competitors and, in 1932, a complaint to the local paper about unsporting people who ‘openly boast that entries which secure them prizes have not been their own produce’. 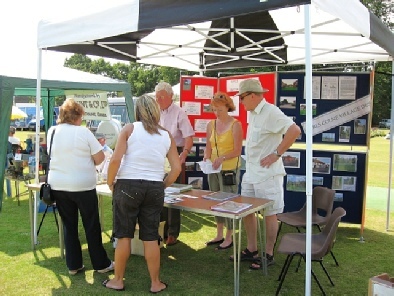 In more recent years, the Show moved to other venues, including the Airfield, but it has now returned to the Recreation Club on the cricket meadow, as these photographs from 2005 illustrate. 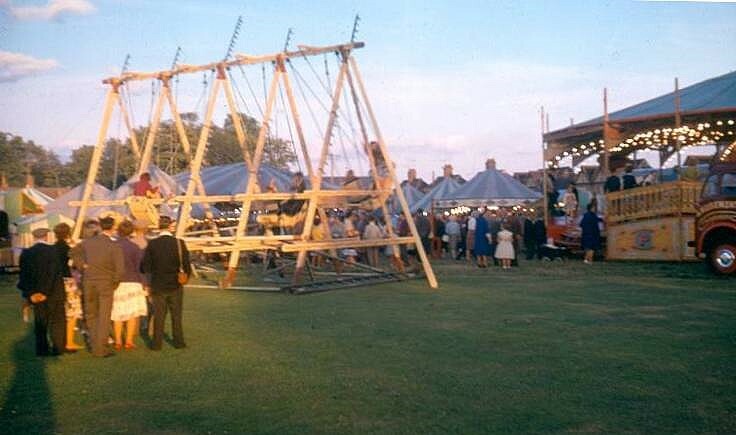 An additional attraction at the Four Colne’s Show in the post-war years was Presland’s Fair, which set up its stalls and sideshows on the edge of the cricket field. 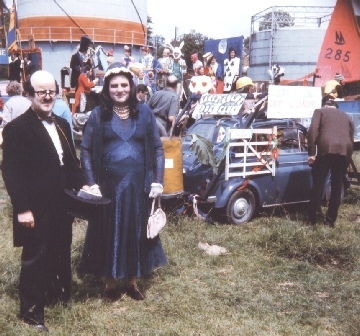 The Fair’s magnificent steam-driven show engine ‘Princess Mary’ stood in the gateway to attract the crowds. 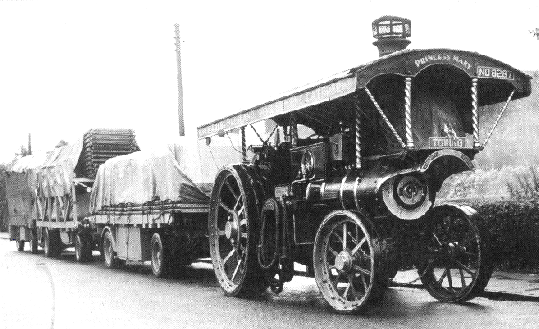 Here it is pulling a line of trailers as it heads towards Halstead at the end of its stay in 1954. 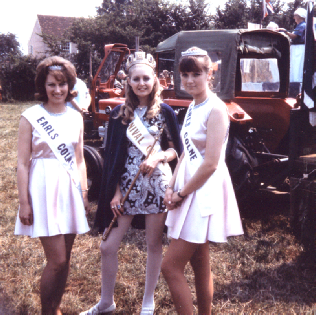 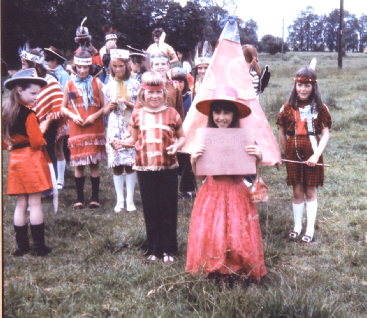 Apart from royal celebrations, the tradition of an annual Carnival did not begin in Earls Colne until 1970, when a week of social events was organised to raise funds for improvements to the Village Hall. 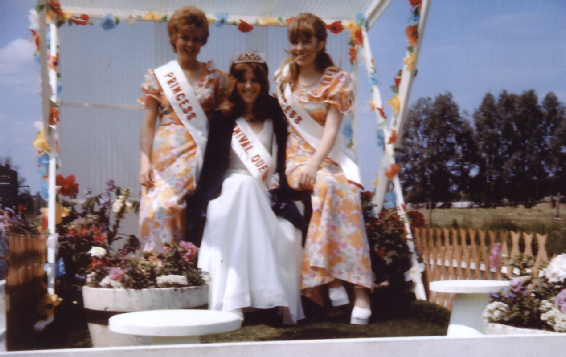 Here is a selection of pictures of those Carnivals. 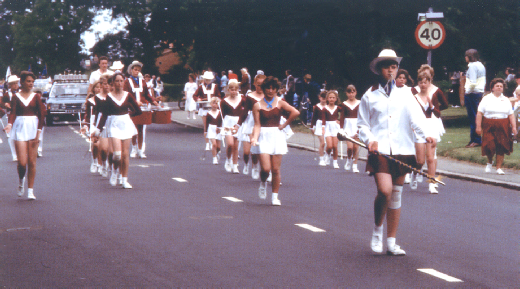 The Earls Colne Majorettes troupe was formed in 1979. 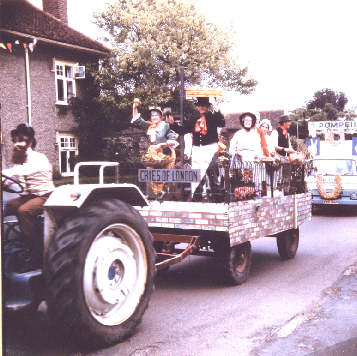 A year later, the troupe had 50 members and gave displays at several venues in the Halstead area as well as leading the local Carnival procession. 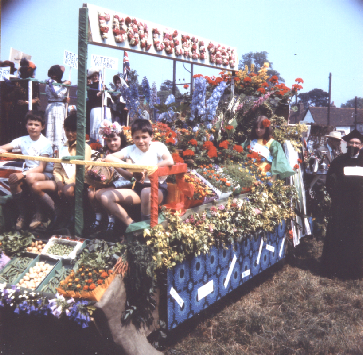 During the 1980s, the organisation of the Carnival passed to the Football Club and other groups associated with the Recreation Club.